No more buying different shades of lip liner to match all your lip looks. This invisible, retractable lip liner works with them all! Just line and define to create flawless definition and prevent bleeding and feathering. 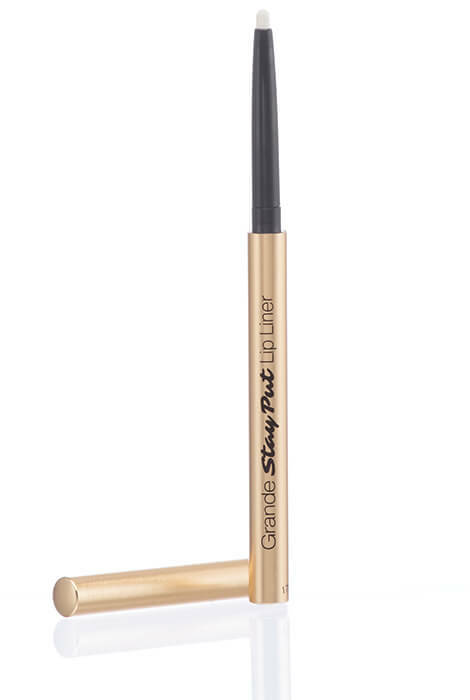 GrandeLIPS Stay Put Invisible Lip Liner instantly contours lips and hides the appearance of lip lines. Make sure your favorite lipstick or gloss looks beautiful all day long with Stay Put. To use this lip makeup, apply with light pressure along the natural shape of your lips. Finish with your lipstick or gloss. Twist the applicator until you see just the tip of the liner. Using light pressure, apply along the natural shape of your lips to achieve an anti-bleed, no feather area. Finish your lip routine by applying your favorite lipstick or gloss to achieve your best looking lips! hoping it works to stop "feathering"
Lipstick is beginning to go in wrinkles below lips.